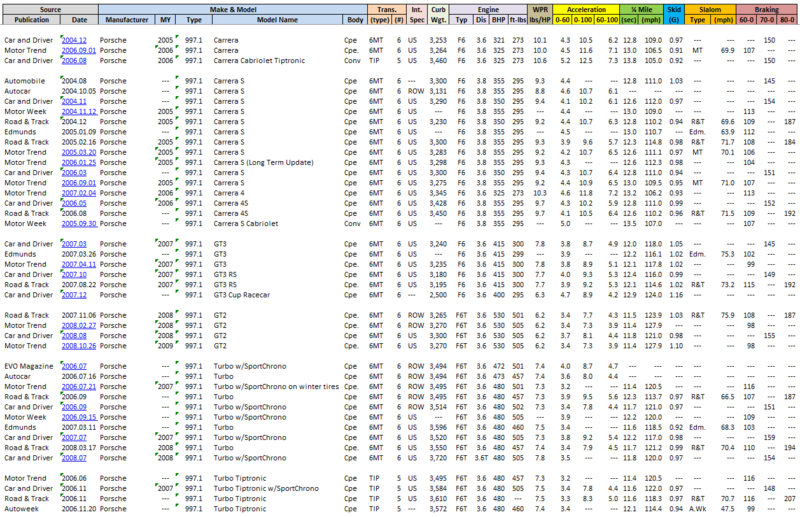 If the tests included their own independent performance measurements (not just repeating the official numbers from Porsche), I added them to the attached tables. I'm sure I've missed some reviews. So if you know of any professional reviews that should be added, please share (including the link), and I'll update this post accordingly. 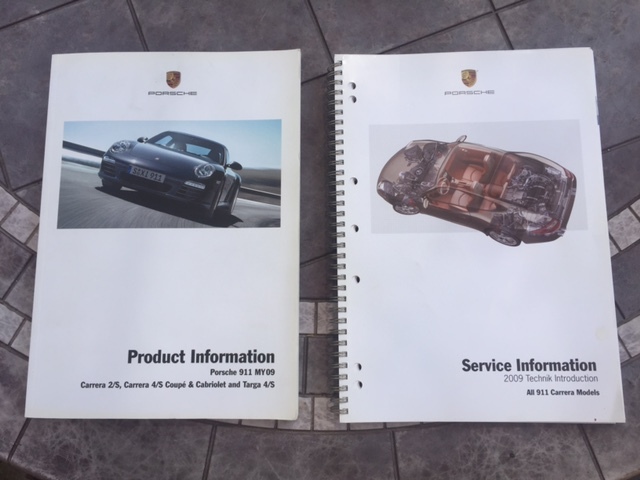 Grant Neal - "The Definitive Guide to Porsche 997 series 911"
Adrian Streather - "Porsche 997 2004-2012 (Essential Companion)"
There was errors in the specs, wrong diagrams, etc. Technical overview, an honest to goodness 5-lap race (with professional drivers), etc. PS: Specifications (e.g. 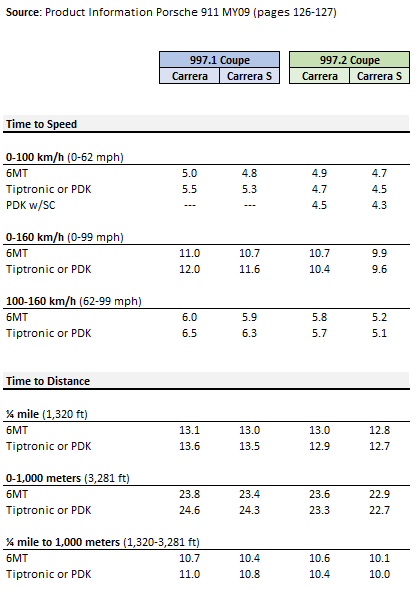 curb/kerb weight, power, etc.) listed in the attached tables were copied from each article as-is, whether they're actually correct in the article or not. At one point he notes a 993 TT could be bought for high-£30K... if we only knew then what we know now!!! Converted to rear wheel drive, 9K rpm limit, sequential gearbox out of a Cup car, etc. Pretty banal review with phone-it-home commentary, bad background music, etc. Congratulations on a fantastic "Work of Art" - many thanks..
Amazing effort there Karl. This wil give me excellent material to fall back on when I am wasting away the hours. Me too ....... So it now is. Thanks everyone, more a labour of love. Now where did I put my anorak? If anyone has any saved reviews they would recommend that's not captured in the list above, please share here on this thread and I'll update the top post. The only thing I ask is that it be a 'professional' review, i.e. by someone or some-organization that does reviews on a regular basis. On the flip side, if you come across a dead-link in the list above, please flag that as well. I've seen articles disappear over the years (Autocar and Road & Track were particularly egregious in this regard). So if one isn't working anymore, please let us know. Great Effort , that's great night time reading .... retreat to peace and quiet is needed ....! !